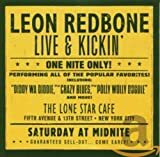 Leon Redbone (born August 26, 1949) is a singer-songwriter and guitarist specializing in jazz, blues, and Tin Pan Alley classics. 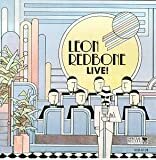 Recognized by his Panama hat, dark sunglasses, and black tie, Redbone first appeared on stage in Toronto, Ontario, Canada in the mid-1970s. He has also appeared on film and television in acting and voice-over roles. Redbone's concerts blend performance, comedy, and skilled instrumentals. Recurrent gags involve the influence of alcohol and claiming to have written works originating well before he was born (Redbone favors material from the Tin Pan Alley era circa 1890s to 1910). He sang the theme to the 1980s television series Mr. Belvedere and has released sixteen albums.